The Master of Nanoengineering (MNAE) is an on campus and distance education program and is designed for students with an undergraduate degree in a science or engineering discipline who wish to pursue a graduate degree in nanoengineering. The field of nanoengineering is expected to revolutionize technology and improve quality of life, particularly as related to energy, environment, and health. Students will achieve an understanding of the fundamental advantages in nanoscale materials, devices and systems. It is a 30 credit hour degree program that does not require a thesis, final oral exam or on-campus residency. GRE scores are recommended but not required. 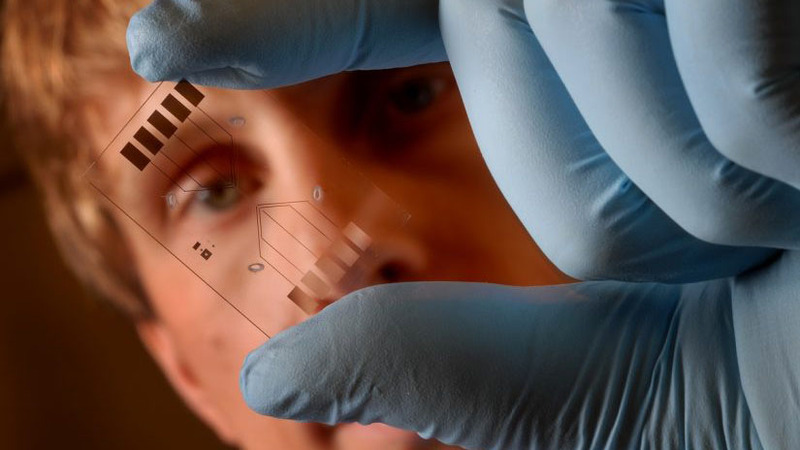 NC State has an existing strength in nanostructured materials and devices. BS degree in science (i.e., chemistry or physics) or engineering from an accredited university with a minimum 3.0 GPA in their major. GRE scores should be submitted if available and should not be more than two years old. Three letters of recommendation from persons able to comment on the applicant’s qualifications for graduate study. Completion of a written statement outlining student’s background, work experience and particular interest in nanoengineering. The Graduate School requires that all international applicants take the TOEFL or IELTS examinations unless they have completed one year of study at a university in the United States. The exam must have been taken within two years of receipt of application. Standard practices for admission of international students by the NCSU graduate school will be followed. Completion of 30 graduate credit hours with an overall GPA of 3.0. Coursework must include 12 credit hours in core courses, a minimum of 12 credit hours from the areas of concentration and 6 technical elective credit hours (e.g., in another area of specialization or in math). A minimum of three courses are required to qualify for a concentration in one of three areas: materials science in nanoengineering, nanoelectronics and nanophotonics, and biomedical sciences in nanoengineering. 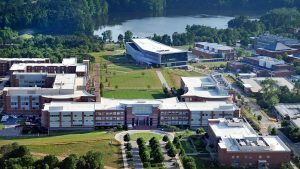 If the student is admitted to the nanoengineering program, a maximum of twelve hours taken as an NDS student from NC State or from another institution may apply toward the 30 credit hour requirement. However, courses taken at other universities must be approved. No thesis or on-campus residency required. After a student has been admitted and enrolls for the first time, he/she is required to maintain continuous enrollment in each fall and spring semester until completion of the degree program. A student in good academic standing may request a leave of absence for good reasons from the Director of Graduate Programs in Nanoengineering. The leave may not exceed two semesters. A six-year time limit for completion is required. It is preferable to seek admission to the degree program as soon as possible to assure integration into the advising process. However, a person does not have to be admitted to the MNAE program to enroll in an on-campus or online credit course. Prior to applying to Graduate School, a qualified individual may enroll in graduate courses as a Non-Degree Studies (NDS) student. The NDS classification is designed for individuals who wish to undertake academic work but who are not currently admitted to a degree program. Those who wish to take only a few graduate courses and not pursue a degree do not need to apply for formal program admission to NC State University. However, students who wish to earn the degree must formally apply for admission to the Graduate School. When completing the online application, please be sure to select the “Distance Track” version of the degree if you intend to pursue the degree via the Engineering Online network. On-campus students register for courses in the normal manner through the University MyPack Portal system whereas distance education students register for online courses through Engineering Online. To register for an Engineering Online course, complete and submit the Course Registration form on the Engineering Online website. Distance students cannot register through the University MyPack Portal system for Engineering Online courses. A list of courses available for each semester is available in the Graduate School Course Catalog while available distance education courses can be found on the Engineering Online website. Full-time employed individuals may only enroll in two online courses per semester. It is highly recommended that new online students enroll in only one course during their first semester. The following courses will be available through the Engineering Online program in various semesters. For a list of distance education courses approved for the fall, spring or summer semesters, visit the Engineering Online website.